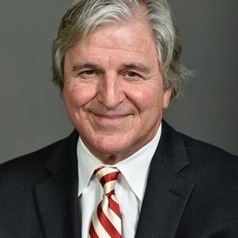 Professor Patrick McGinley is a graduate of Dickinson College and the Duke University School of Law where he was a member of the Duke Law Journal Editorial Board. Professor McGinley served as a law clerk to a Justice of the Supreme Court of Pennsylvania and as a Special Assistant Attorney General, Commonwealth of Pennsylvania Environmental Strike Force. In the latter position he was engaged in environmental enforcement and mine safety litigation. In 1975 Professor McGinley joined the West Virginia University College of Law faculty where he has taught courses in contracts, civil procedure, criminal, environmental, administrative, land use and natural resources, constitutional law, and appellate advocacy as well as seminars in public access to information, environmental justice and U.S. Supreme Court litigation. Professor McGinley was co-editor of the multi-volume treatise Coal Law & Regulation and of the Annual Proceedings of the Eastern Mineral Law Foundation. He was a founder and served as an officer and trustee of the Eastern Mineral Law Foundation (now the Energy and Mineral Law Foundation). He has published numerous law review articles relating to environmental law, natural resources, access to public information, and administrative law. His most recent scholarship, Climate Change and Coal: Exploring the Dark Side, appears in Climate Change: A Reader (Carolina Academic Press, 2009). Professor McGinley has served as Chair, American Law Institute – American Bar Association Course of Study: Legal Issues in the Coal Industry; Co-Chair, American Law Institute – American Bar Association Course of Study: Legal Issues in the Eastern Coal Industry, (First continuing legal education program broadcasting nation-wide to remote city locations; Chair, Eastern Mineral Law Foundation, Oil and Gas Special Institute; Program Chair, WVU College of Law: A Discussion of Public Corruption; Chair, American Association of Law Schools Annual Meeting, Section of Environmental Law, Environmental Justice in the Classroom and Courtroom; Co-Chair, Environmental Justice\Racism Workshop, Society of American Law Teachers Annual Meeting (University of Minnesota School of Law); Member of the Board of Directors; and as a consultant to the West Virginia Water Resources Board and the West Virginia Sago Mine Disaster Investigation. Professor McGinley has been recognized by the Environmental Policy Institute for his “tireless efforts to promote and uphold the rights of the land, the people of America’s coalfields and the law protecting them.” (1987); by the Directors of the 16th Annual Public Interest Environmental Law Conference Cary Rydberg Award (University of Oregon, Eugene, Oregon) for “Outstanding Contributions to Public Interest Advocacy” (1998); and by the Public Justice Foundation for “winning exceptional victories for the public interest.” (2000). Professor McGinley has litigated many cases before administrative tribunals as well as state and federal trial and appellate courts. Professor McGinley has traveled to many countries in connection with his work with grassroots environmental public interest lawyers.